As Wolf Paving headed into their 75th year in business, they were challenged to find ways to continue to grow the brand and their qualified lead list. As a family-owned company with strong community roots, Wolf Paving leveraged their 75th anniversary initiatives to grow their business, and give back to a charitable organization. 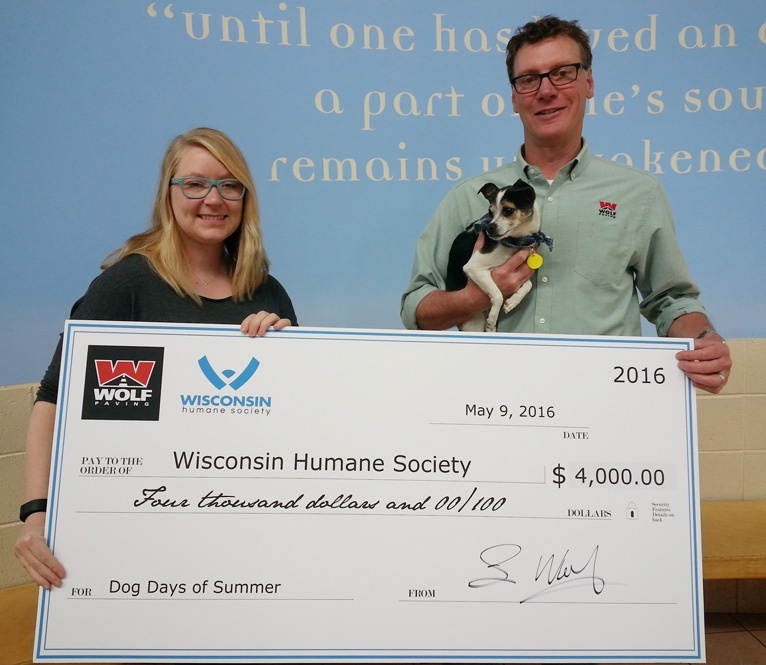 Through the recommendation and creative support of Stream Creative, Wolf Paving teamed up with iHeartMedia to create the "Dog Days of Summer" supporting the Wisconsin Humane Society. 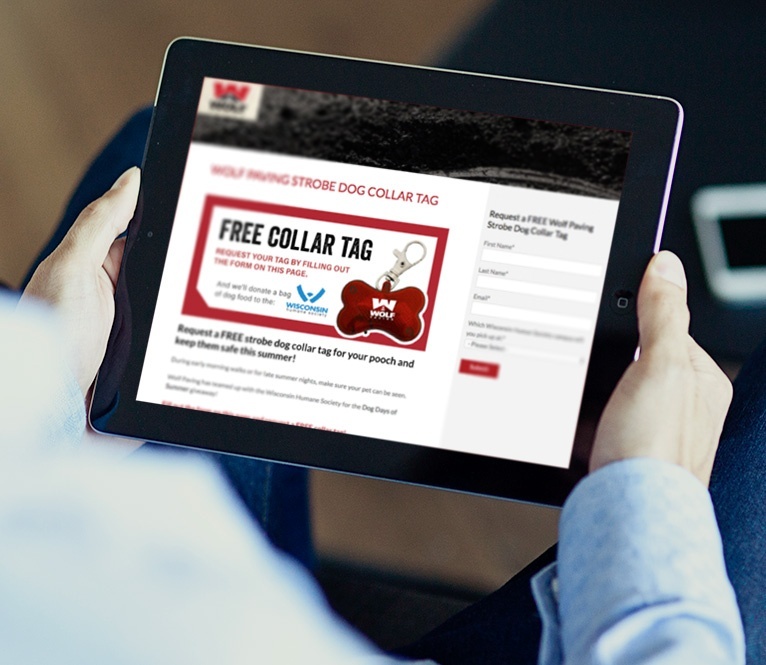 Radio listeners and social media followers visited the Wolf Paving website and Dog Days of Summer landing page to request a free strobe dog collar tag to keep furry friends safe on summer walks. With each request, Wolf Paving donated a bag of dog food to the Wisconsin Humane Society. 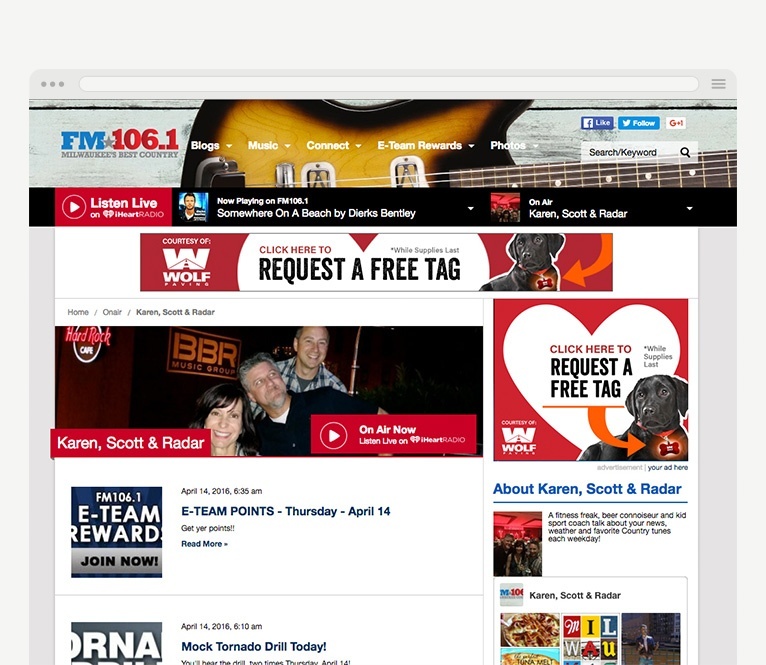 The landing page was used to capture user data and place each requester on a list to receive an automated series of emails over the course of a few weeks. Automated emails included information on everything from how to keep pets safe during hot months, Wolf Paving’s other 75th Anniversary initiatives and the company’s robust service offerings.